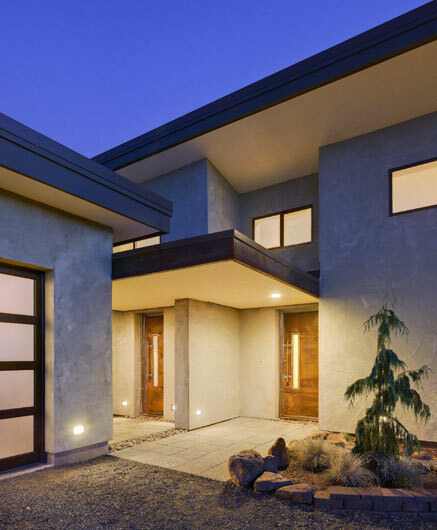 Cheryl Heinrichs Architecture is a boutique modern architecture studio located in Bend, Oregon and Olympia, Washington. Our signature style blends modern architecture with sustainable design, and adds a creative touch. We specialize in custom homes suited for the Pacific Northwest lifestyle and climate. Our client roster is kept intentionally small, so that we can stay intimately involved with the building of your dream home. We work closely with you throughout the process, from selecting the site, to choosing the floor coverings, to monitoring construction. Whether our clients are living in the Pacific Northwest or as far away as Florida, Alaska, or Hawaii, they rest easy knowing their vision is being honored throughout the construction process. Living and working in the hot/cold, dry/snowy high desert as well as the temperate, moist marine climate, we have first hand knowledge of the materials and details needed to address each region’s specific challenges. This experience, paired with continuous study, keeps us well-versed in climate-specific, sustainable designs for the Pacific Northwest. Cheryl Heinrichs Architecture is recognized as a talented residential architectural firm committed to sustainable design, innovative modern architecture, and design excellence. Contact us today to start designing your dream home.